Baton Rouge, LA – The Carpenter Health Network is pleased to announce that Hope Himel-Benson, LCSW has joined the organization as Communications Director. Himel-Benson brings with her more than ten years of communications and marketing experience from the healthcare and aging sectors. As Communications Director, Himel-Benson is responsible for the planning, development, and successful implementation of internal and external communications. 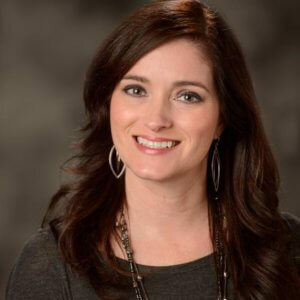 She leads and drives public relations, branding, advertising, reputation management, website management and digital marketing for The Carpenter Health Network and all operational divisions. Himel-Benson most recently served as Life Care Planning and Marketing Coordinator for Legacy Estate & Elder Law of Louisiana in Baton Rouge, LA. Prior to working for the law firm, she worked at Hospice Associates for nine years. She began her role as bereavement director and eventually assumed responsibiliy for the company’s marketing, communications and education programs. Himel-Benson is a graduate of Louisiana State University and the LSU School of Social Work.